Piping or text insertion is commonplace in most of the surveys programmed today. That’s fine as long as the survey is conducted in English. However, when we have to translate the survey into other languages we often find the piping will not work. That is, we find the intended meaning of the sentences changes because every language has its own unique set of grammatical rules and most survey authors and programmers fail to adequately address those rules. In general, the more complex the grammar, the harder it becomes to find a fluid way of translating a given text insertion. In other words, piping and translations can make things somewhat tricky and this is where things can go terribly wrong. Of course, the most preferred approach would be to avoid piping altogether but this is not practical for most of the surveys we see in our shop. That said, we often ask our clients to minimize the amount of piping in foreign language surveys as it does require more time to program and quality check but we fully understand piping has to occur. The best approach for managing piping is to proactively address the requirements with your translation partners. Any reputable translation partner will be able to share the ins and outs of each language and they can provide their best recommendations in terms of how to handle each scenario where piping occurs. To this end, Brookmark will work directly with our chosen translation provider, Language Intelligence and provide clear upfront documentation to identify where all piping occurs in the survey. If the translators are made aware of piping requirements prior to translating the actual survey program, they can provide recommendations that can be more easily and efficiently applied to survey instrument and/or survey program. As previously stated, we encourage you to minimize/limit your use of piping to areas where it absolutely necessary. As a survey author, please make a concerted effort to clearly indicate where piping has to occur via programming notes or some other type of flag. Make specific attention to the source of the piping as well (i.e., brand lists, response items from previous questions, numerical fill-ins, etc.) as these all have an impact on how items are translated. Programmers will be able to bring this to the attention of the translators and develop a game plan to ensure the best possible and most accurate translation. Quite often, we can easily accommodate most translation requirements by programming hidden lists and alternative sentences that can be automatically triggered based on the required pipe. This is much easier to program prior to conducting the actual translations and will go a long way to avoiding the scenario where we have to come up with some sort of band-aid to make the survey work. Brookmark is a research operations company focused on managing the critical components of the research process including project management, survey design, programming, hosting, sample design & management, data management and reporting solutions. 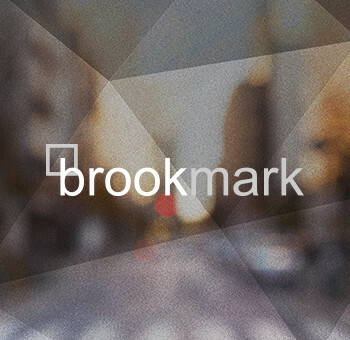 Brookmark provides a full outsource solution for all your research needs. Language Intelligence is a language service provider with over two decades of experience translating for the survey and research vertical. Our more than 500 language professionals translate questionnaires, collateral documents, and verbatims into and out of over 100 languages. With the complement of a full project management and technical staff, we are ready to help you navigate any translation questions you may have. Online Survey Programming QC: Stop The Madness!